For Memorial Day weekend, we went to Gilroy Gardens which is a 1:45 drive south from San Francisco. I like to think of Gilroy Gardens as a cheaper, mini-version of Disneyland. 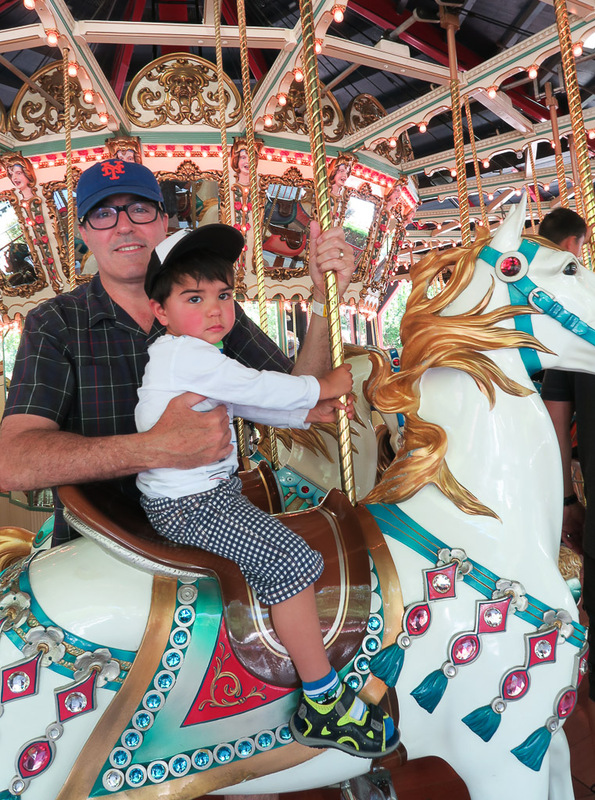 It was our first time, and our 3-year-old Franco went bonkers for the amusement park. Open April through January, it’s perfect for preschoolers or young elementary school kids. 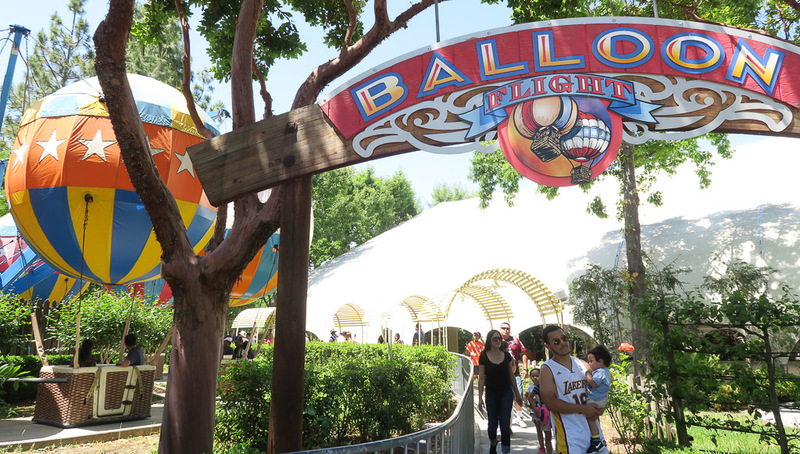 Purchase tickets and add-ons online before you get to the park, mainly because you don’t have to wait at the ticket booth and instead can head straight to the security line. Membership with unlimited admission is $48/person. 2-year-olds and under are free. Membership is worth it if you plan to go more than once, since single day tickets are$35+/person. Military are free or discounted. Parking is $15/day, which you can also purchase online, but there’s no benefit to doing so as your car will be queued up with everyone else. Fast Lane is $25/person/day and is a huge time-saver. ($20 if you buy 3 or more.) It allows you to enter through the exit and gives you priority for every ride. Lastly, we splurged $200 for a private cabana at Water Oasis. Completely unnecessary, but it was so nice to have our own private retreat where we could dump our belongings and have waiter service. They provided 4 beautiful beach towels which were ours to keep. It’s definitely a luxury, but something I would probably do again. Why not?! 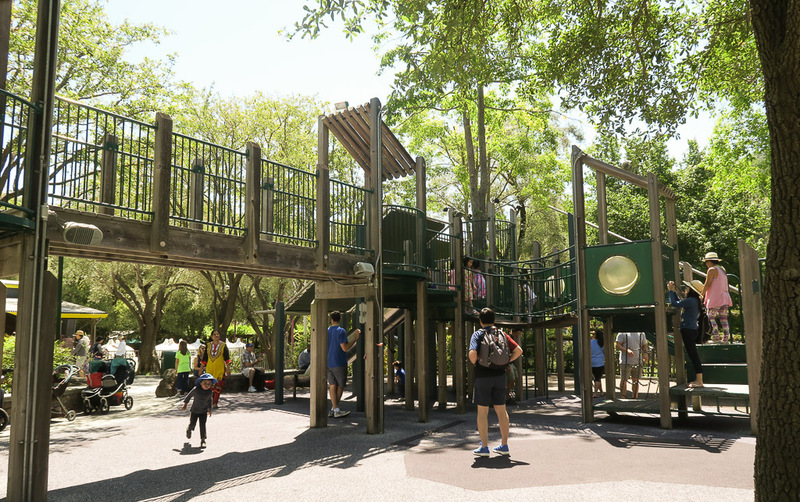 My first impression is that the park is clean and well-manicured, as they have award-winning gardens and landscaping. Several of the Yelp reviews portrayed the staff negatively, but given our experience, I have to disagree. Yes, the park is staffed by young adults, but I found everyone to be friendly, service-oriented, and extremely cautious on safety. They double-check seat-belts, gates, and have hand signals for moving along the process. Regimented, but safe. The park seems overwhelming when you first get there, but it’s totally doable in one day, as long as you keep moving along thecircular path. Day one for us was devoted to the Water Oasis where Franco spent the whole day playing with the water fountains. Buying a fast lane for that day was pretty useless. Lesson learned. 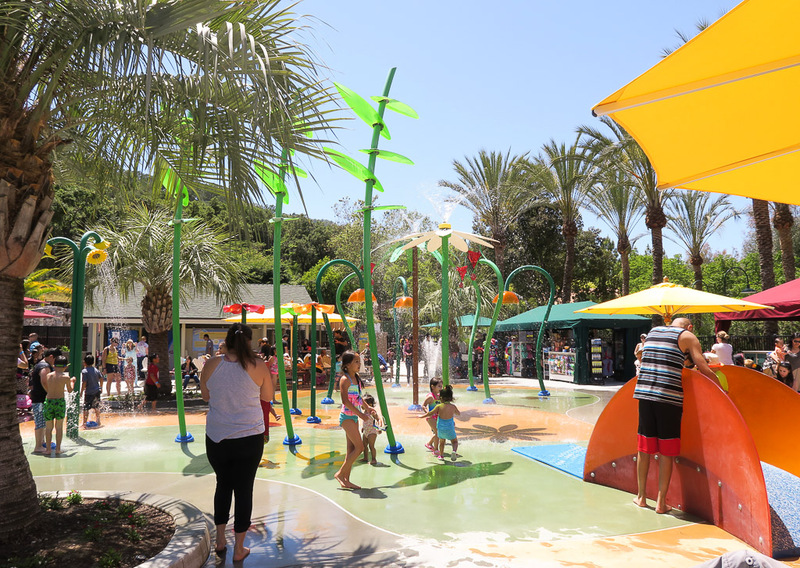 There is so much to keep everyone occupied, with different types of fun spread throughout the park, including gardens, a lake, carousels, ferris wheel, trains, monorail, water play, a playground, and paddle boats. There are also learning centers. 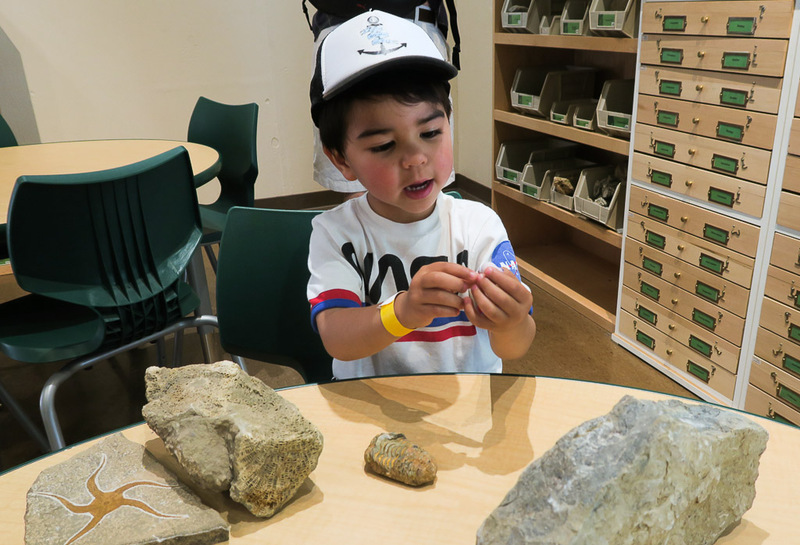 We stopped by the Green Barn where Franco got to touch various rocks and minerals, and see many different insect collections. I was quite impressed! 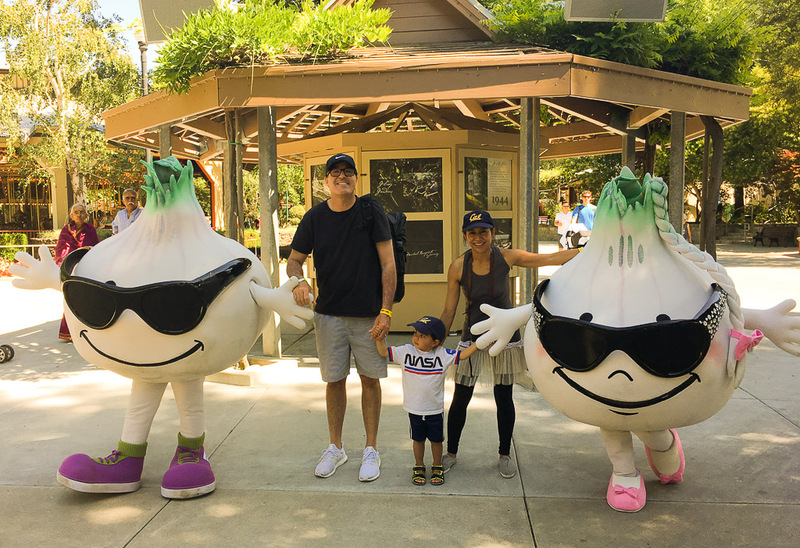 You can also dance and take pictures with the mascots, two garlic cloves named Gil and Roy. Bring your own food. The food in the park is atrocious. Contrary to what is on their website, there are no healthy food options anywhere in the park. The site also says that no outside food is allowed. That’s baloney. Security checks all baggage, but they seem to ignore the fact that people are bringing in full-on picnic spreads. Open every day in June through Mid-August. Weekends April through early January. Check the calendar to confirm. 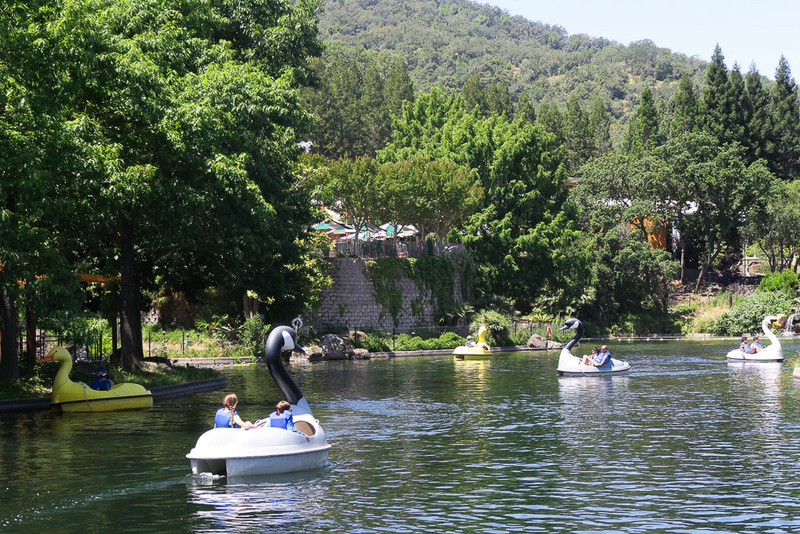 Have you ever been to Gilroy Gardens? What’s on the docket for you this summer? I’m off to Portland this weekend. Any must-do recommendations? Never been there, but I was definitely intrigued until you mentioned how bad the food was there in all honesty. The carousel photo is adorable. I wish we were closer because we would join you in a heartbeat here. Tell me about Portland as I am headed up there in August. You need to go to Fairyland in Oakland. Patrick, I loved Portland! No sales tax. It was amazing!!! I will be writing a post about it…hopefully before your trip in August. Ha! That’s my incentive. We are Fairyland members. My son loves it.